“Tom, this is Chris Morgan.” I was stunned. 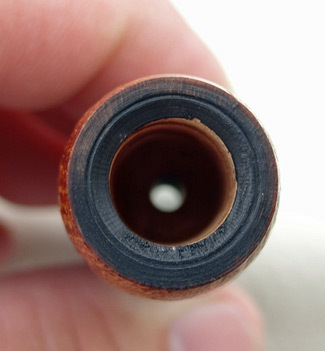 I was not expecting this call, and knowing how busy most pipe crafters are, I typically do not get a call back. Matter of fact, this was my first in response to a blog introduction. 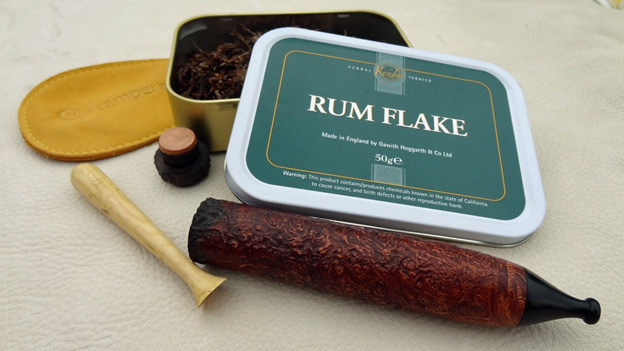 To my pleasant surprise “Thanks for the review on your blog” was followed by nearly 45 more minutes of Chris’ precious time discussing everything from the Briar Cigar, to the problems with social networking and the politics of pipe and cigar tobaccos. His opinions were important to him- whether I agreed with him or not. 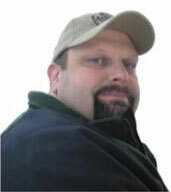 Chris’ every thought or opinion was expressed with respect, foundational resources supporting how he came to form those opinions, and all of this to a man he had probably never even heard of until two hours prior. Let me be clear; this is an incredibly easy way to come off as arrogant, spitefully opinionated, or at the very least off-putting. With Chris however, I never got that feeling. I was simply glad to be talking to him, and I found his mannerisms, fortitude and spirit to be uplifting and infectious. It is a rare combination in a man to be grounded in his convictions, yet gracious in their presentation. I appreciate little more than unapologetic enthusiasm. Chris seemed like the ‘Energizer Bunny’ of that. 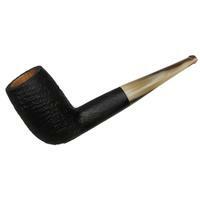 The Morgan Briar Cigar is a true pipe manufactured from quality Romeo Briar, cut, carved, rusticated and/or polished just like a traditional briar pipe, only these are made in the shape of a cigar. Let me tell you something, not only has the concept become reality, it is not a novelty any more. 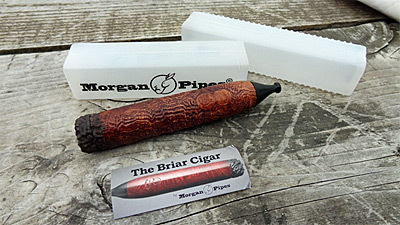 The concept has been all but perfected in the Briar Cigar. 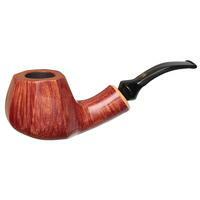 These are quality pipes made by quality hands that do the job with fantastic results. 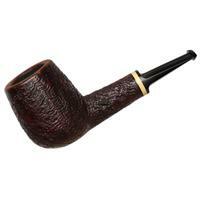 The design is such that its patented Reverse-Calabash engineering in the airway, make it a wonderful smoking pipe in its own right. All ‘noveltiness’ is long set aside. 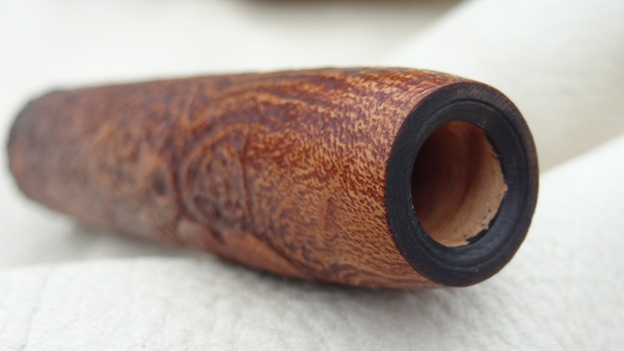 Chris has worked out a deal with a well-known Italian pipe manufacturer that has a long and stellar history to produce his Briar Cigars to his exacting standards. 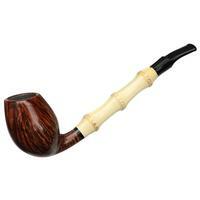 The Briar Cigars are still hand-made, but made in volume by some of the world’s best pipe craftsmen. I want to be clear that this does not mean they are being cranked out like toy blocks, mass-produced without regard to quality. That is clearly not the case. 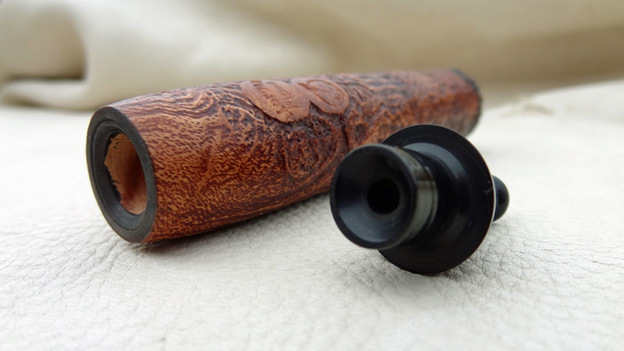 These units are still hand cut, hand-turned and well made - just in greater volume than one custom artisan pipe manufacturer can do in his shop with limits set by time, space tooling, and machinery. 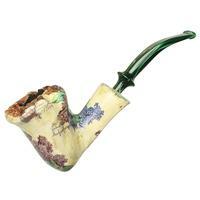 Now i really want one, since i can see it’s not just a novelty item, but a well thought out briar pipe. Good read!! 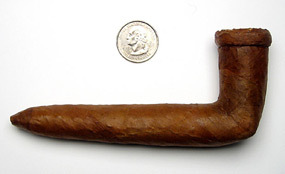 I have two Briar Cigars and have them in my rotation and they smoke great. 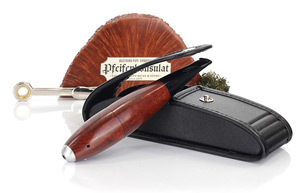 I wish everyone would have at least one Briar Cigar in their collection. Great article! 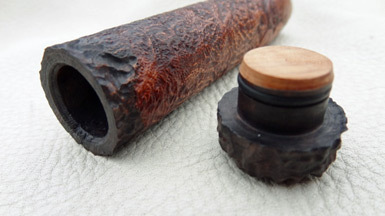 So far, I only have an early version rusticated Briar Cigar, but I love it! 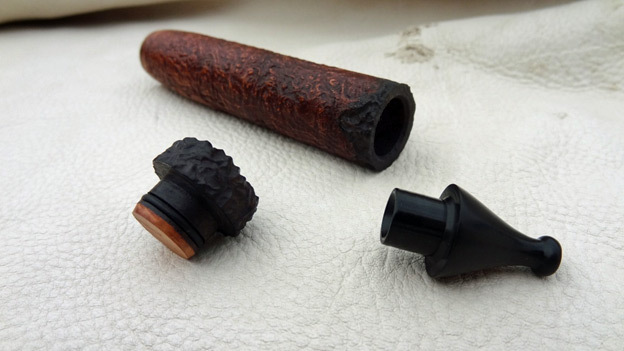 I definitely would love the threaded end cap feature, so I guess I’ll just have to grab an updated one! I would definitely like a smooth version to add to my collection! Thanks for the kind words guys. It was a real pleasure getting to know Chris as part of this piece. I love my job, what can I say! Don’t forget to read the other reviews as well!